A good friend of mine recently separated from the military to pursue new adventures. I wanted to put something together for him, but the cookie-cutter military shadow-box has always seemed sorta lame to me… A bit like getting someone a gift card to Walmart, in a way. There’s gotta be a better way to celebrate a man’s military experience. 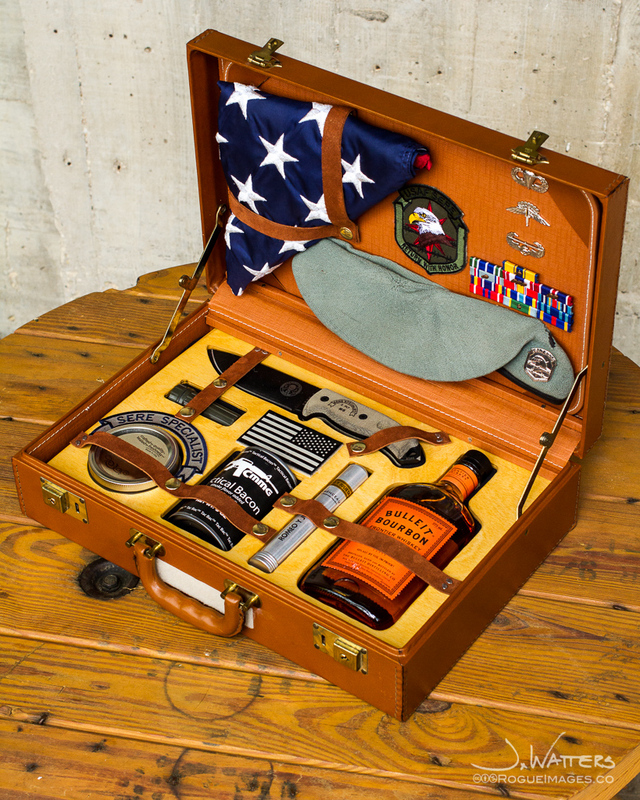 Well, a while back a couple of us stumbled upon this gem: The Gentleman’s Survival Kit. Pretty solid work there, pscmpf! Ever since, I had been building one in my head. Now I had the perfect excuse to execute! I present: The Tactical Gentleman’s Survival Kit. Cheesy name, but fitting, don’t ya think? Cool! How’d you make that?